Bullet Journal : Why I love it & Why you need it in YOUR life. When I discovered the Bullet Journal system, I loved it. 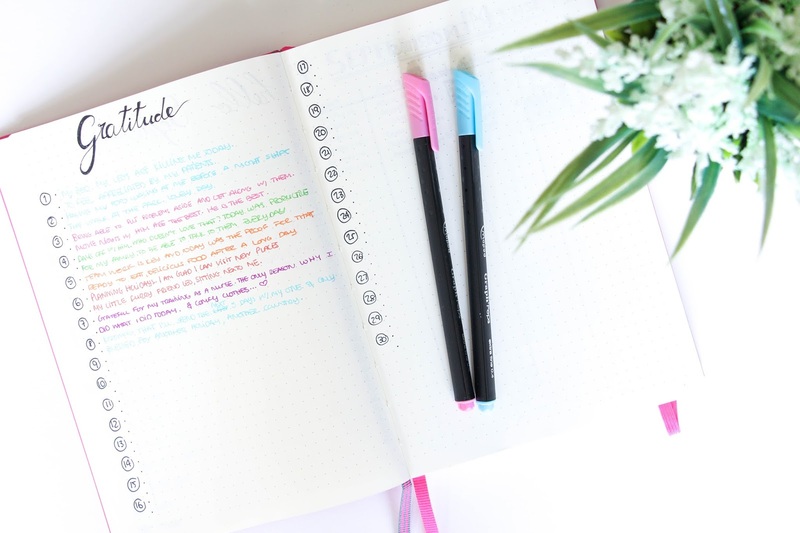 I loved the idea of having an agenda, diary, planner, all in one. The idea that I could personalize it according to my preferences and needs was what made it so great. Yet, while everyone bought the proper bullet journal notebook or the Leuchtturm 1917 Dotted Notebok, I was here with a normal one where I had to write down the pages, create my own index and so on. For many, that is ideal and more than enough but for some reason after a while it put me off all this bullet journal thing. I did not like how it was looking and because it was my first bullet journal, it wasn’t as organized as I though. So after going on holiday and having a break from bullet journalism, I eventually stopped completely. 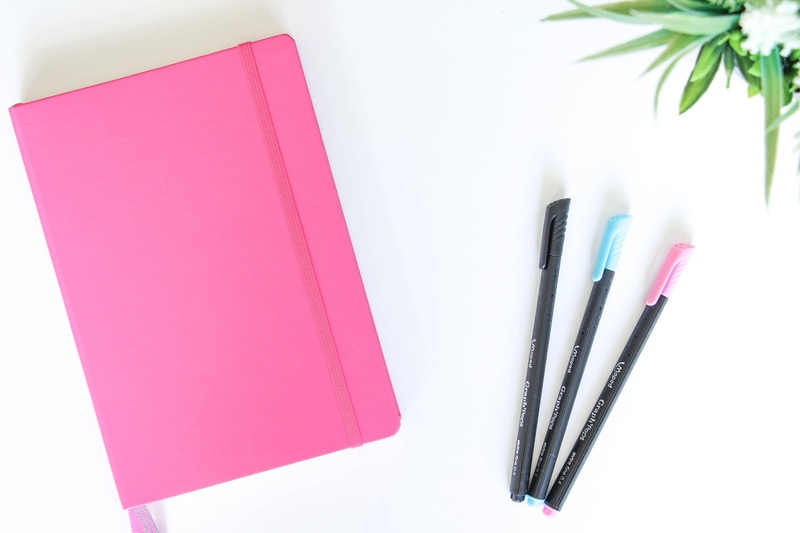 At that same time, my blog also slowed down a lot and that is when I noticed that since I stopped filling in my bullet journal, I haven’t been as productive, motivated and inspired as much as I wanted or was when I had my bullet journal. Silly, right? So, by the end of August I went ahead and bought myself a Leuchtturm 1917 Dotted Notebok in pink – so girly, I know – and lot as changed since then. Having my bullet journal back changed my life completely and that is what I wanted to share with you today. After this, I hope you feel the need to have one as much as I do because it is truly the best analog system ever. Get ready for what might be a very long post.. Being able to throw anything I can imagine in this little pink notebook is really my most favourite thing about it. I have it from habit track to gratitude log, expenses or even non-sense lists like piano songs I want to learn. For many this might be silly or even useless but for me it gives the motivation to, for example, open my piano and start practicing. So much that I have included “Playing piano” in my daily habit tracker. Weird? That weekly face mask I love to put on also does not get forgotten. Having this habit tracker also motivates me a lot o exercise and drink more – all for the pleasure of coloring this page. Yes, honestly – and as I am writing this, I will had “no junk food” and also “no spends”. 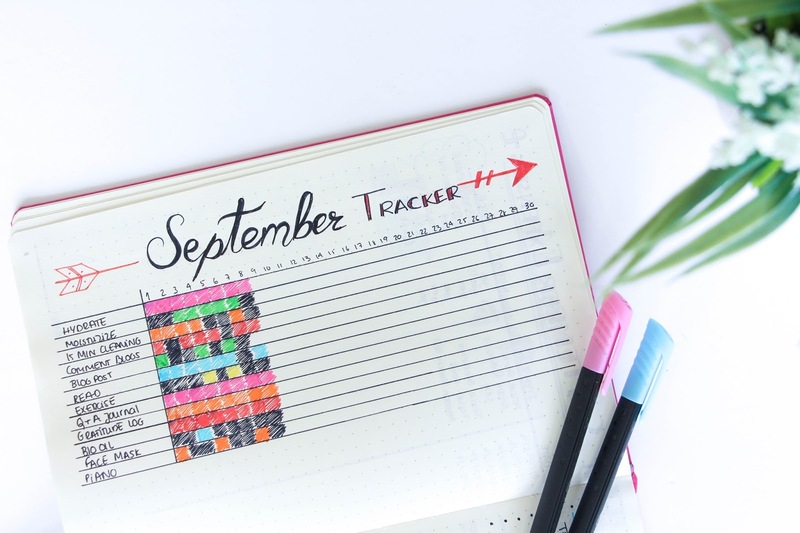 This tracker gets bigger and bigger but really, if you want to control what you do and maybe try to minimize certain things you want to change in your life, I think this could really work. At least it work for me. I also love to have a bullet journal to go back so many pages and remember things and moments. I have a monthly memory page that I love to go back to in my old bullet journal (although it only lasted about three months) and remember things I did or even things I was grateful for back then. The gratitude log is also one of my favourite pages from my bullet journal. Many people have it and I am not sure who really started this idea even thought I would love to know as this is so amazing. We, sometimes, forget so much about the good things we have in life and are so grateful for. Bad things happen to everybody and most of the time they ruin your mood and for seconds make you change your perspective in live. Having this gratitude log helps me to think about the smallest thing I am grateful for that day and truly appreciate it. I think everybody should do this – have a gratitude moment every day before going to sleep. You don’t need a bullet journal to do so and I am sure it will change the way you see life very soon. For some reason, planning the next day whilst in bed getting ready to sleep is such a relaxing thing to do and really sets my mind in place. It makes me thing about the things I have to sort out that if I didn’t have this journal, I would probably leave it for the next day or the day after and it would go on and on and on. Things like – booking my cat’s appointment, sending meter readings, ironing! You have no idea how many times I just avoid to iron just because I hate doing it. Having it in my to do list or – as us bullet journal lovers call it – daily planner will definitely make me do it. I have this thing that I love lists and ticking things off those lists really satisfy me so this is totally a plus for me. It also helps a lot with my blog. I have a page for my blog ideas and everyday while I am planning the day ahead, I go back to it and see if I could start any of them by either taking photos if needed, editing or starting to write the post. 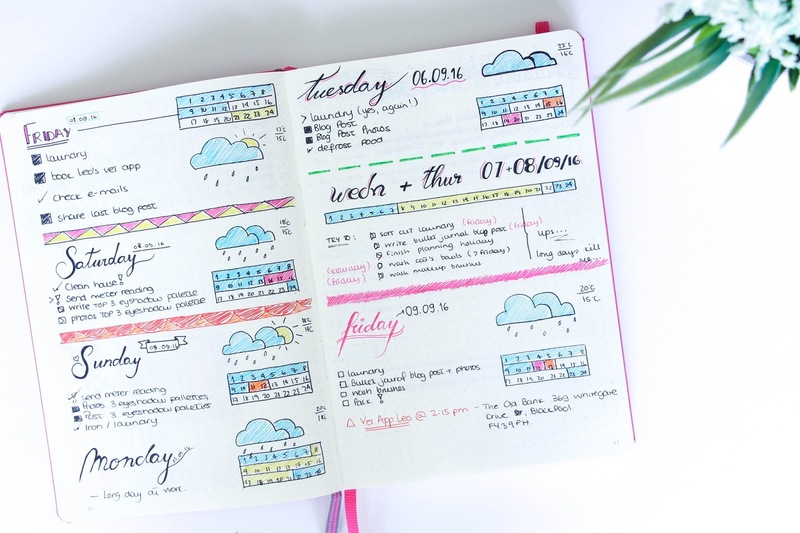 I don’t have a blog schedule at the moment but I don’t feel like I need it as with this bullet journal I normally write a post every other day or maximum of two days in between and I feel like that is more than enough. To track my activity in my blog I included “comment blogs” and “write a blog post” in my daily tracker and so I will definitely know if I am being lazy or not – this used to happen a lot. One other new and great thing I recently added to my bullet journal was an holiday planner with my itinerary and packing checklist. Every now and then I go on little three/four day trips to visit new places and I love planning what to do each day to make sure we visit the main places, eat great food and truly enjoy ourselves. Normally I would do this in a blank page or even at the back of a map with the main attractions that I would print out of google. It always worked but at the end of the holidays I would put it in a drawer somewhere and it would disapear forever as many already did when all I wanted was to keep them as a memory (yes, I keep a lot of things as memories haha). I honestly love how the layout looks – inspired by an image on Pinterest – and I know I will use this many other times. I am going to take it with me for these four days – how could I not? – and hopefully write a little bit everyday to create a sort of travel diary. How cool is that? So this is more or less why I love my bullet journal so much. 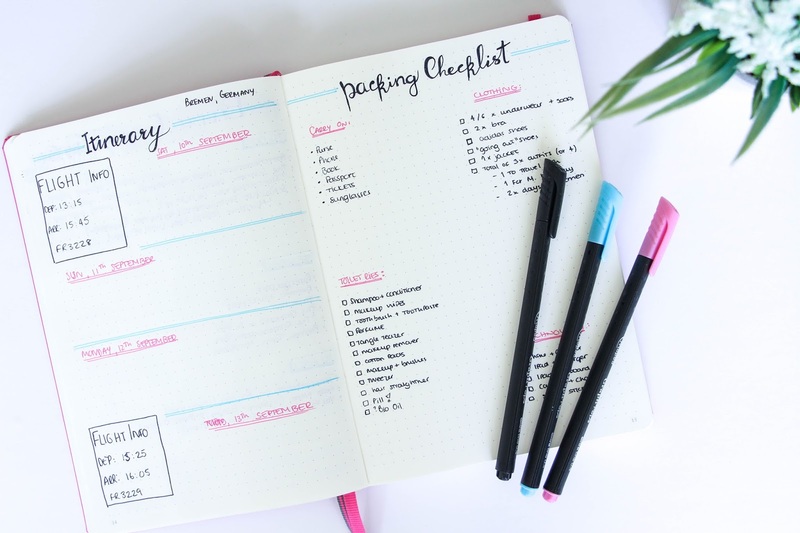 It really helps me to stay organized, it motivates me to do more (no matter what it is) and it is something that I feel that I could go back to later in my life when wanting to remember little moments or things. 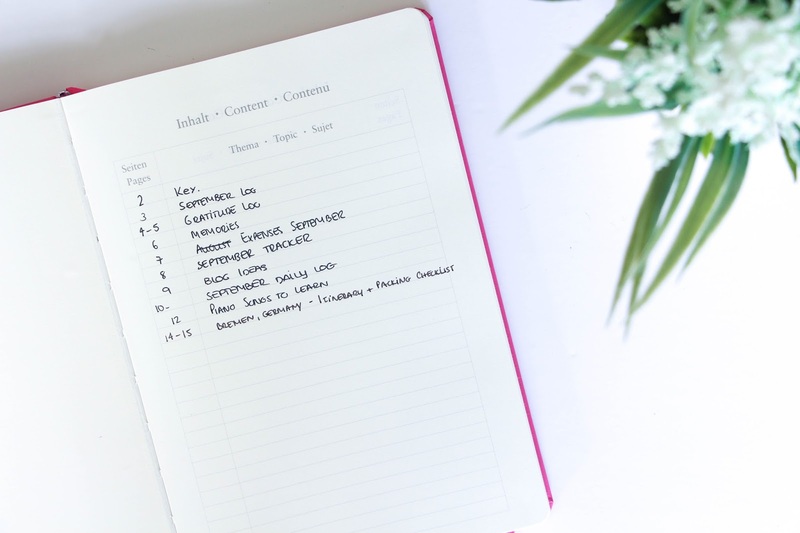 If you don’t have a bullet journal but you do love lists, planners and diaries, this is for you. There is nothing you can’t do with it. There is always room for more ideas, more lists, more everything. Give it a go.